Inspired by the mystery, glamour and romance of Daphne du Maurier’s novel, ‘My Cousin Rachel’, we have created this beautiful Rose Quartz, Garnet and Rose Gold necklace. 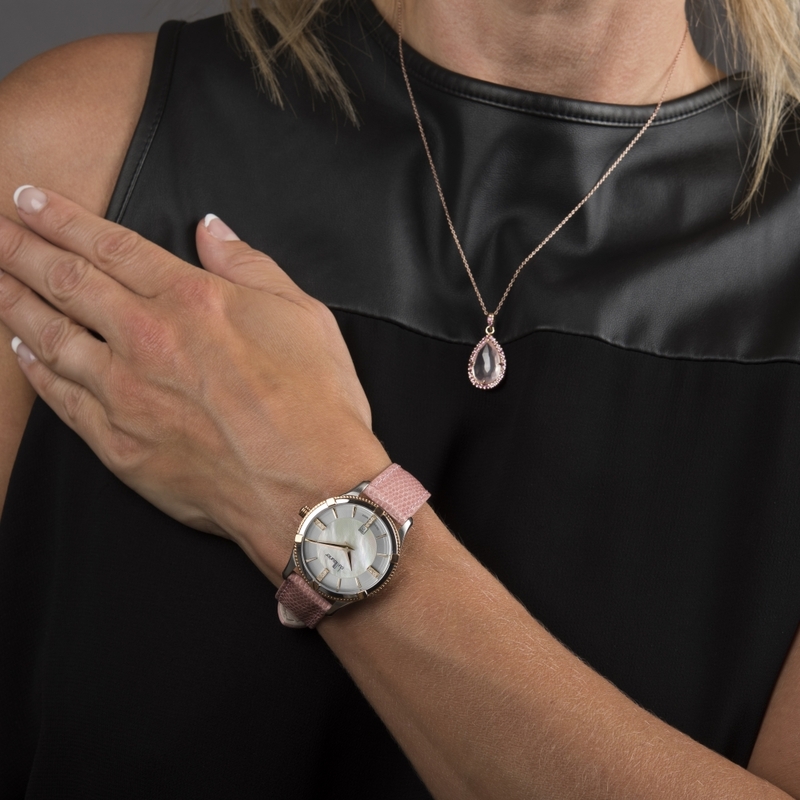 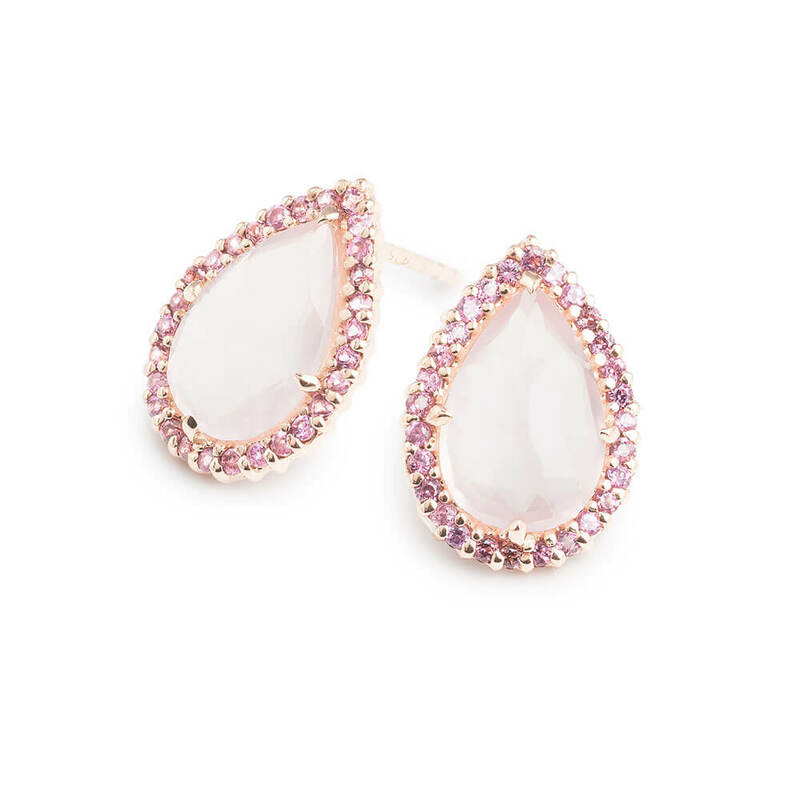 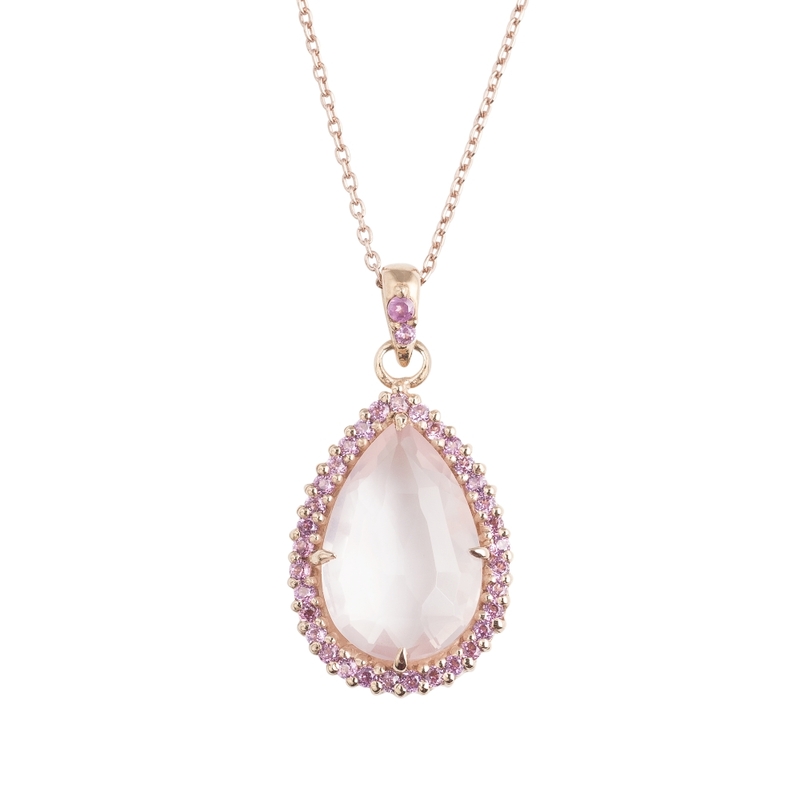 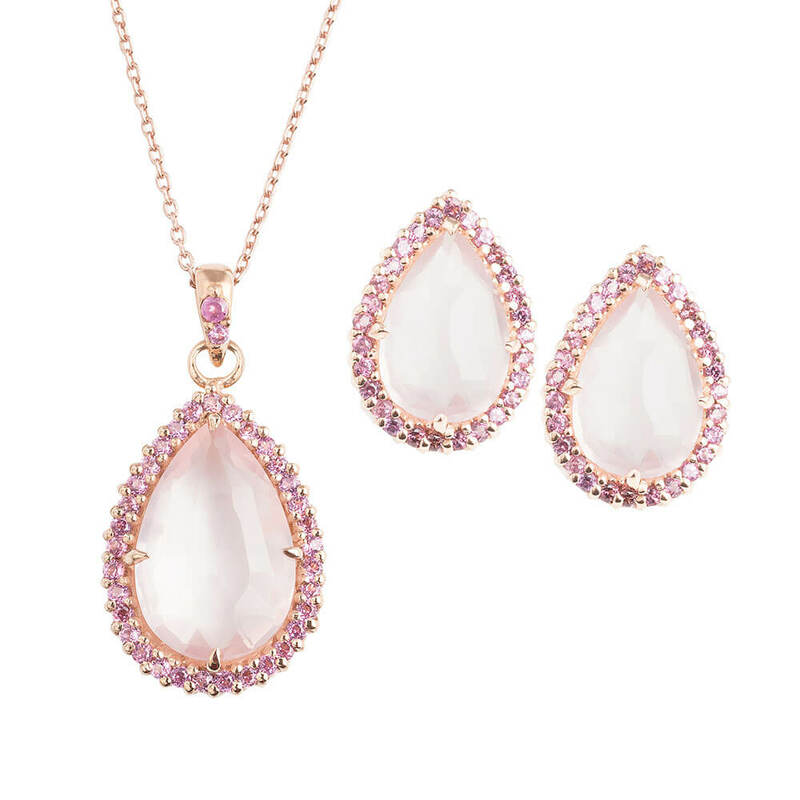 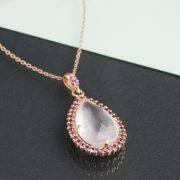 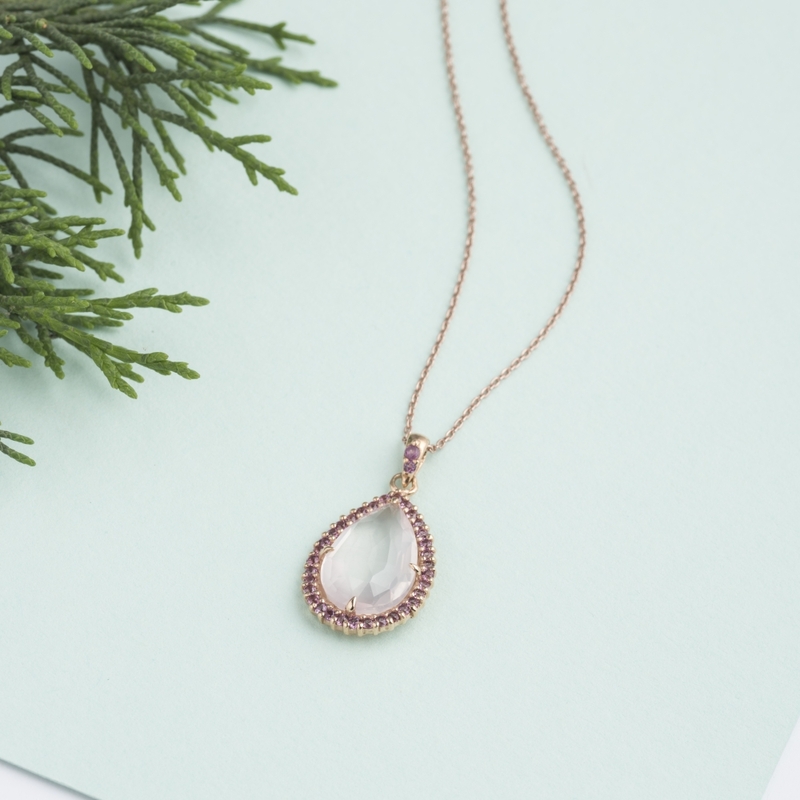 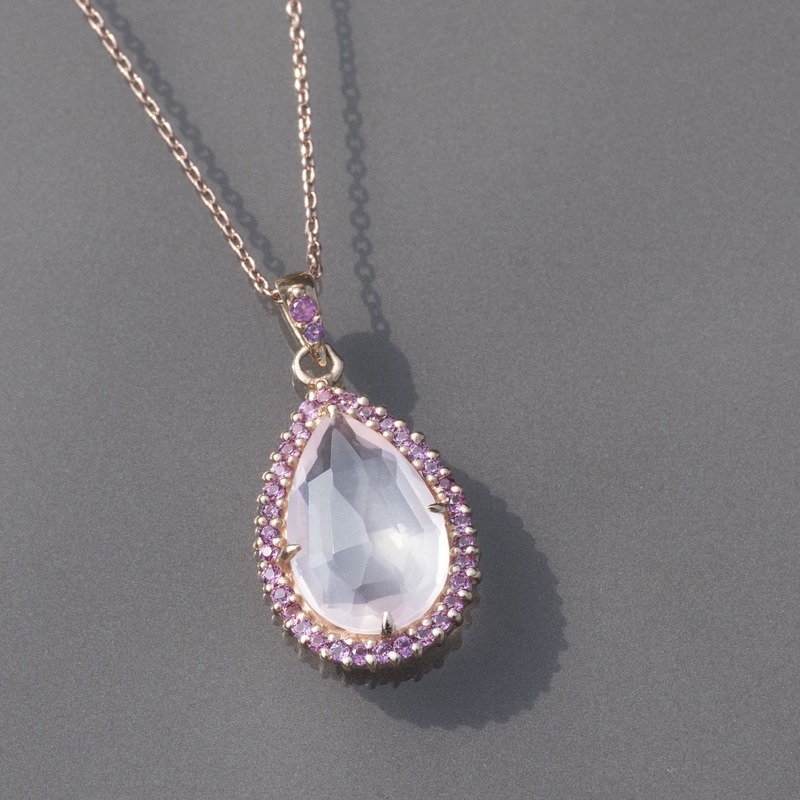 This stunning Rachel pendant features a striking, tear-drop centre of Rose Quartz, faceted to showcase the lovely semi-opaque qualities of the stone. 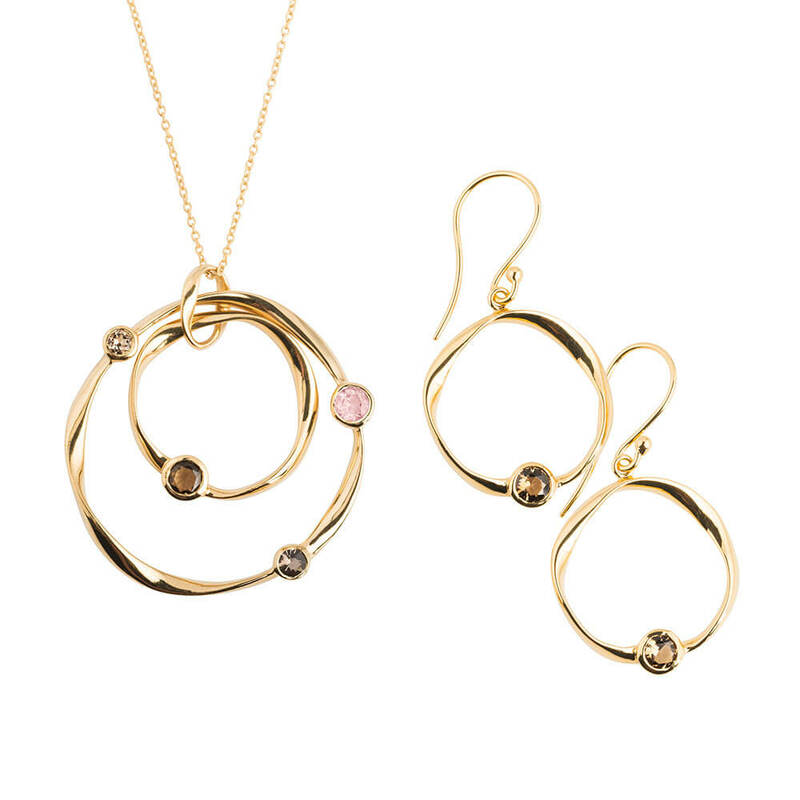 With our usual attention to detail, we have also set two Garnets into the pretty bale so the pendant and Rose Gold chain join together seamlessly. 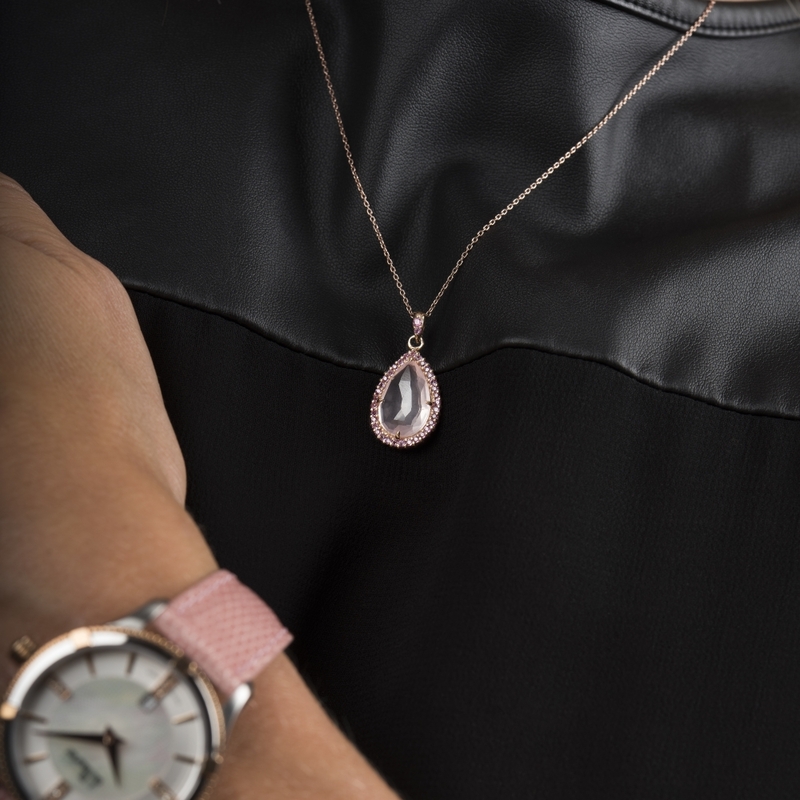 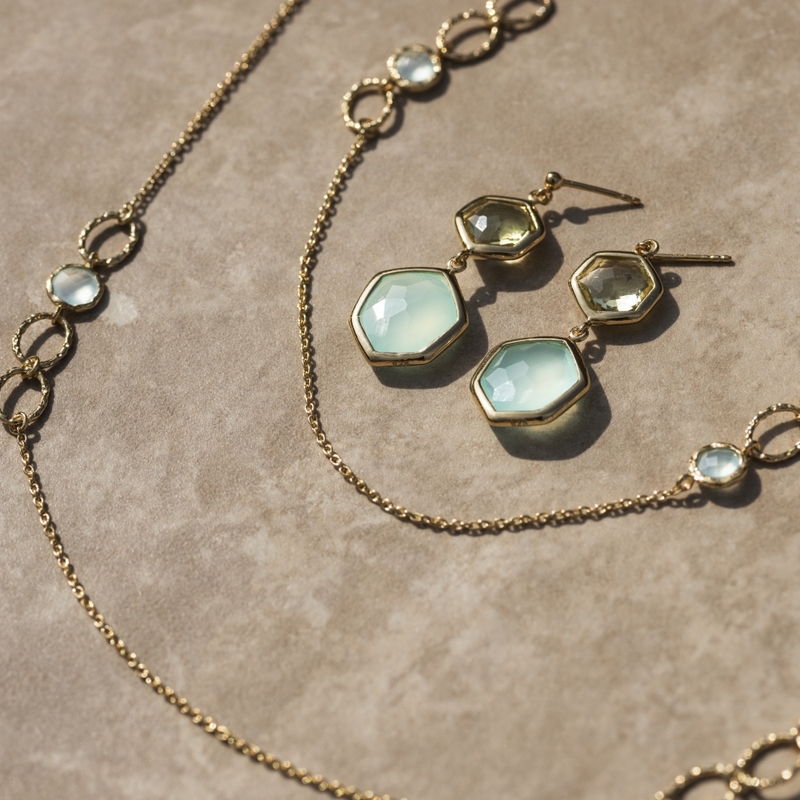 The fine Rose Gold chain offsets the pendant beautifully and is adjustable to 3 different lengths so can be worn with a variety of necklines. 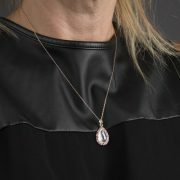 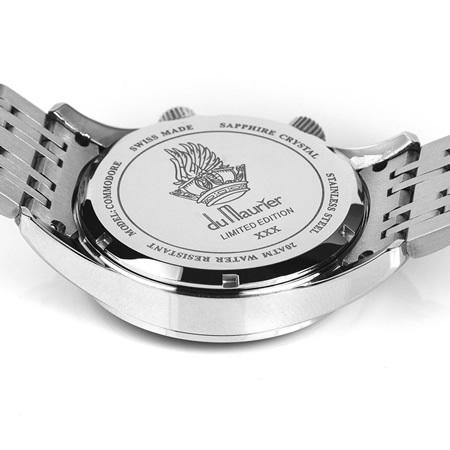 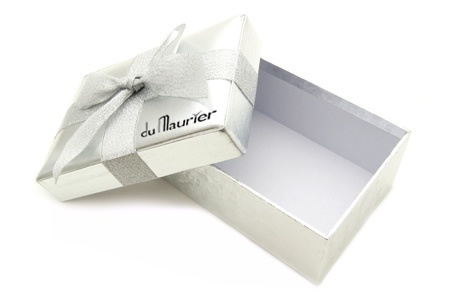 It is finished off at the clasp by a pretty tag featuring our trade mark ‘dM’ logo.